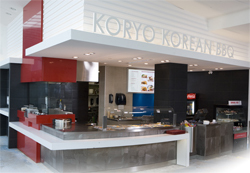 Koryo Korean BBQ Franchise Corp.
Get full meals for just $2! See your local store for more details. Koryo will be opening in Manila. September will be our Grand Opening so if you're in the area, prepare for some new tastes and big promotions. Interested in owning your own Koryo Store? financing, subsidizing, low royalty fees, full support and more! We'll be happy to answer any questions you might have.